Nut tool hall of fame! We got an email from Stéphane Pennequin who runs the Nuts Museum in Corsica. It is an amazing collection that Stéphane has been bringing together over the last 20 years. I’d come across the website in the past and enjoyed reading the great gear history there. You get a sense of the the development of climbing gear technology over time — nice to see they are mostly innovations by climbers. So I was honoured that Stéphane wanted LittleHammer for his nut tool collection… I’d like to think of it as the nut tool hall of fame, but it is more extensive than that; possibly every nut tool ever made? 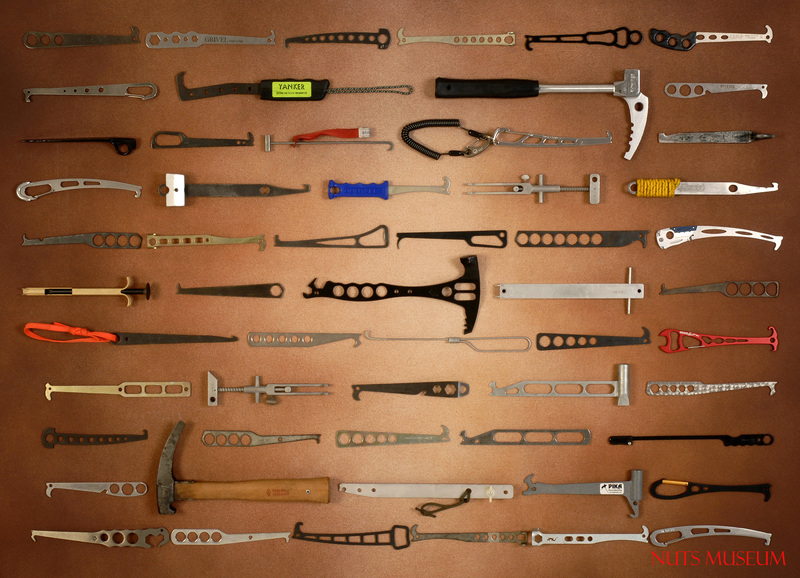 Have a look at the photo below and see if your nut tool is there. I’ll be excited when LittleHammer is. It was also pretty cool that Stéphane had found LittleHammer so we know the word is getting out there.